What is your Philosophy of Aboriginal Education? Because I need a question that can give me an inroad to start this discussion, I need to wrestle with this in order to find a pathway from which to embark on this discussion. I wonder if the question is in regard to one of the three groups of Aboriginal people in Canada or if it would be important to first identify and include the Aboriginal people of Canada, the Inuit, Metis, and First Nations. And do we limit our comments to more urban or more rural Aboriginal people? Since we are on Coast Salish territory, perhaps, it makes sense to discuss it in the context of our working relationships with the Katzie and Semiahmoo upon whose traditional territories this school district resides. And in what context is this question being asked? Are we concerned about the pedagogical considerations that concern educators or do we want to move into the realm of how it is we support Aboriginal students through to grade 12 graduation? 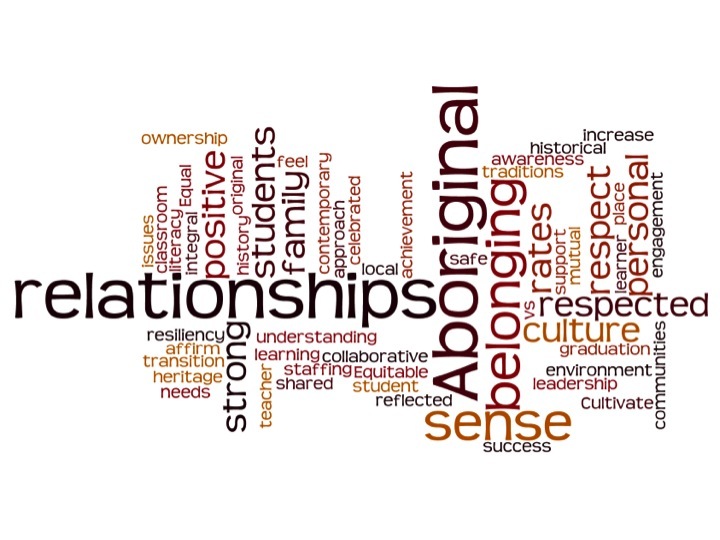 Can it be rephrased to this: What matters most about Aboriginal education? Or is what we are doing making a difference? And what is it we are doing? Winnipeg’s Most is an aboriginal hip-hop band on the cusp of stardom, but it’s members still feel a pull from the ghosts of their past. The CBC’s Wab Kinew reports. THE RABBITS by John Marsden addresses the theme of colonization and may have a place in Social Studies Curricula specifically BC FNS 12 and Social Justice 12. As well, it may have a place in English First Peoples 10 – 12 curriculum with themes that connect to historical events that have impacted the lives of Aboriginal people. An inquiry question might derive from something such as: What has been the nature and impact and response to colonization by the Indigenous people of Canada? This area? This book has been made into an imovie on utube which begs students to create similar multi-media representations of the impact of colonization . What would be powerful would be to tell the story from the Aboriginal perspective – stories from a strength or resilience perspective in order to illustrate the impact and the response of Aboriginal people to events such as those listed above. Anne Tenning, 2008 Governer-Awards recipient brought this perspective alive in her classroom. Please have a look at her unit, WALKING ON THE LANDS OF OUR ANCESTORS. Sweetgrass Coaching is a blog which addresses the topic of colonization which you may wish to check out. If you have other picture books which may be used as similar springboards, I would appreciate knowing. Let me know how it goes!